The Riva2 670 Verve XS gas fire offers the same subtly curving form as the Riva2 530 & Riva2 670 Verve gas fire but with slimmer proportions to offer a different aesthetic appeal for narrower walls or spaces. 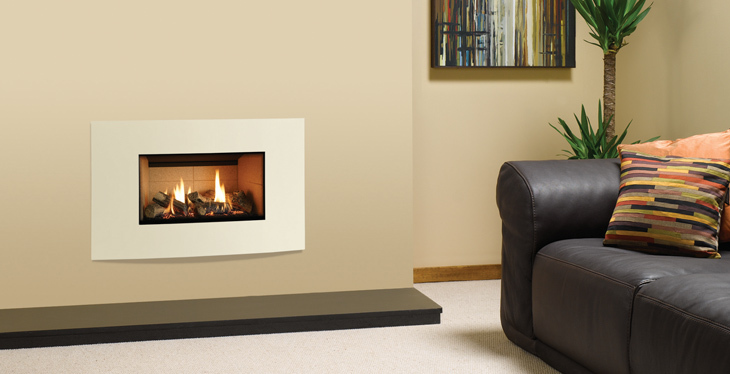 The Riva2 670 Verve XS gas fire comes in smart Graphite or can be finished in one of four striking additional colour options to suit your interior tastes. The highly realistic fire is enhanced by Gazco’s stunning glowing ember bed, offering all the ambiance of a real log flame in the modern convenience of a high efficiency gas fire. Finishes: Graphite, Metallic Red, Metallic Bronze, Metallic Blue and Ivory. Linings: Vermiculite, Brick effect and Black Reeded.